Addiction to illicit drugs is a pressing social concern across greater China, where there are likely several million drug addicts at present. This research breaks new ground by examining Chinese people’s stories of drug addiction. Chinese Stories of Drug Addiction systematically evaluates how drug addiction is represented and constructed in a series of contemporary life stories and filmic stories from mainland China, Taiwan and Hong Kong. These stories recount experiences leading up to and during drug addiction, as well as experiences during drug rehabilitation and recovery. 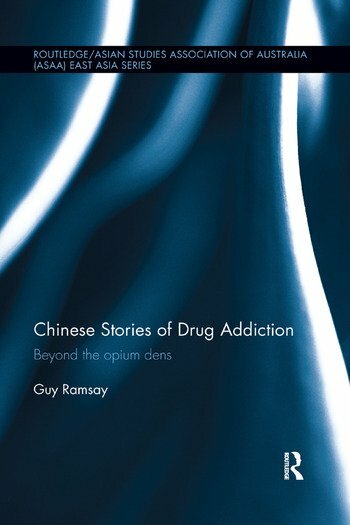 Through analysis of these contemporary life stories and filmic stories, the book presents a comprehensive picture of how Chinese people from both inside the experience of drug addiction and outside of it make sense of a social practice that is deemed to be highly transgressive in Chinese culture. It employs a blended discourse analytic and narrative analytic approach to show how salient cultural, political and institutional discourses shape these Chinese stories and experiences. Complementing existing humanities research which documents the historical narrative of drug addiction in China at the expense of the contemporary narrative, the book also provides health and allied professionals with a rich insight into how Chinese people from different geographical locations and walks of life make sense of the experience of drug addiction. Moving beyond historical narrative to examine contemporary stories, Chinese Stories of Drug Addiction offers a valuable contribution to the fields of Chinese studies and personal health and wellbeing, as well as being of practical use to health professionals. Guy Ramsay is a senior lecturer in Chinese studies at The University of Queensland, Australia. In 2013 he published Mental illness, Dementia and Family in China (Routledge).